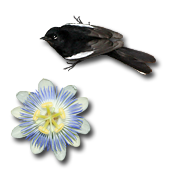 Lynx Spiders, members of the family Oxyopidae, are quick, very capable predators that are often found near flowers. Lynx Spiders do not build webs, instead they lurk among the flowers, and just like a cat, they will pounce on their unwary prey. 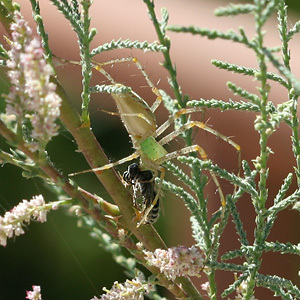 This very large Green Lynx Spider (Peucetia viridans) has managed to capture a bee. For a spider, this Green Lynx Spider is surprisingly attractive. Despite it's large size, it's pinkish, green, and tan coloration helps camouflage it among the flowers, and I would probably have never noticed it if I hadn't seen it's glowing, emerald cephalothorax backlit by the brilliant morning sun. Even though Lynx Spiders are aggressive hunters, they are not inclined to bite humans or enter dwellings. 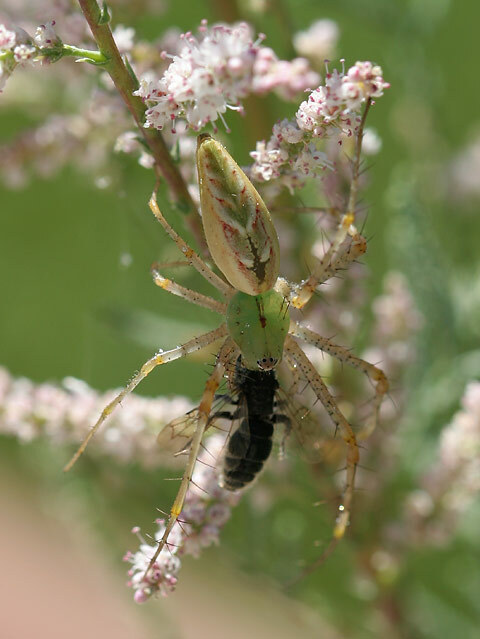 This Green Lynx Spider was afraid of me, and it crawled away still holding the captured bee.